Our great new exhibition which opened last Friday is called Writing Britain: Wastelands to Wonderlands, and features some wonderful exhibits which have never been seen in public before. These include loans coming directly from writers such as Hanif Kureishi, Jonathan Coe, Ian McEwan, and Posy Simmonds. You can read regular updates on the exhibition on the English and Drama blog. The exhibition is all about exploring how the landscapes and places of Britain permeate our great literary works. And on the exhibition website is the chance to participate by adding your own literary geographic reference. Just choose a literary work from any period and any form (e.g. a novel, a poem, song lyric or a play) that relates to a specific location in Britain or Ireland. Then say a little about your chosen item, and how the author has captured the spirit of the place, and what it means to you. I couldn’t resist revisiting my youthful playground of the Ashdown Forest. I grew up in Forest Row in the heart of Sussex, and spent many a happy hour exploring 500 Acre Wood. This was the basis for A. 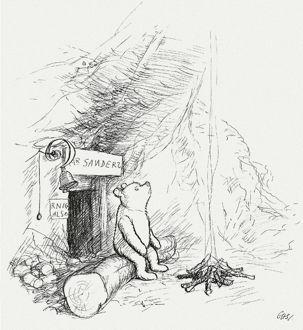 A. Milne’s fictional Hundred Acre Wood, the landscape for the Winnie-the-Pooh stories. I have a strong memory of a 10th birthday party egg-hunt under the tall Scots pines at Camel’s Clump and amongst the ferns and bracken. Thanks to the Conservators of Ashdown Forest the place is pretty much the same as it was back in Winnie-the-Pooh’s days. 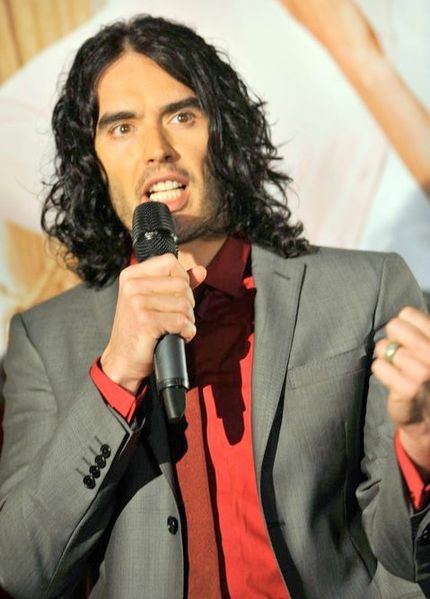 I also put in an entry for Grays in Essex as the stamping ground for the young Russell Brand, which features heavily in the first of his two (so far) rather childishly titled autobiographies, (unless you believe his claim to be inspired by the fictional Nadsat language from A Clockwork Orange). In My Booky Wook, Brand talks at length about growing up in this rather miserable town. He believes that part of his determination to become famous was as an escape route from this grey and mundane environment. Early on in his career he revealed a passion for Jack Kerouac, and his classic novel On the Road. Together with his writing partner Matt Morgan, he travelled across the United States from coast to coast. I met the notorious comedian briefly in 2007, when his book signing tour came to Brighton. And, in between seducing the young woman in the queue in front of me, and insulting my 14 year old son, he expressed a great interest in visiting The British Library. Although I suspect he has been rather too occupied with his burgeoning Hollywood film career since then to find the time. This entry was posted in British Library, exhibitions, language, literature on 15 May 2012 by ninfield.